Alice Luňáková wrote her Bachelor’s thesis on Czech immigrants in the US. Hundreds of Americans attended her talks. 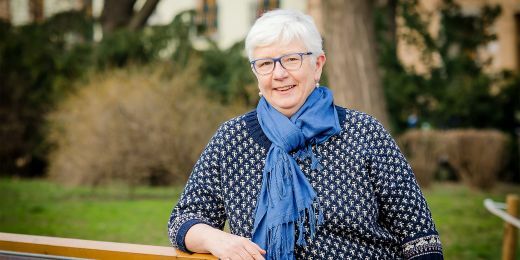 When Alice saw the locals dancing polka, eating “kolaches”, observing traditions, and maintaining Czech schools and cultural centres, she decided to write her bachelor’s thesis about them. It was mostly Moravians who left for Texas, perhaps as many as a million of them. Alice, a student at the MU Faculty of Education, has written a bachelor’s thesis on the topic and presented it in the US. Very few bachelor’s thesis generate interest at home, let alone abroad. However, Alice Luňáková from the Faculty of Education has caught the interest of hundreds of Texans. 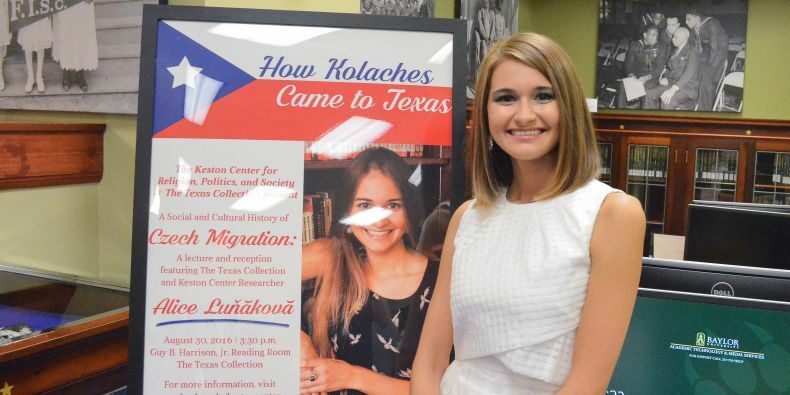 Her thesis deals with the arrival of Czech immigrants in the US and in late August and early September, she gave several talks in Texas on the topic under the title “How kolaches came to Texas”. If the word “kolaches” does not sound familiar to you, it is probably because it is a Czech word for a certain type of cake – “koláče” – written with English spelling. “Kolaches” are still one of the remaining symbols of the old homeland, even though many people no longer know how this type of baked dessert came to the United States. Estimating their exact number was difficult even at the time, let alone today. The people who were leaving could keep their Austria-Hungary citizenship in case they decided to come back, and records kept of emigrants were far from perfect. According to one estimate, 300,000 people arrived in the US from Moravia and Bohemia between 1850 and 1900. 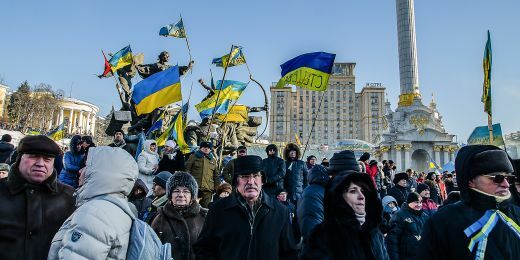 Other sources give estimates nearing one million people. In Luňáková’s opinion, the actual numbers are probably around 600,000 emigrants. 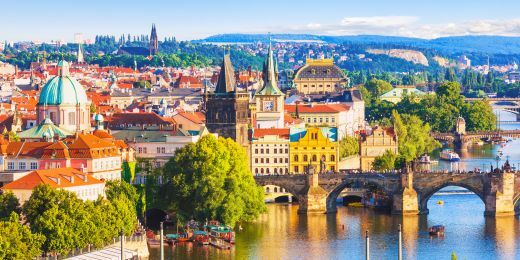 “And this is how I found a second Czechia nine thousand kilometres away from home, even today,” she smiles as she thinks of Texas, where she first went on a study exchange. 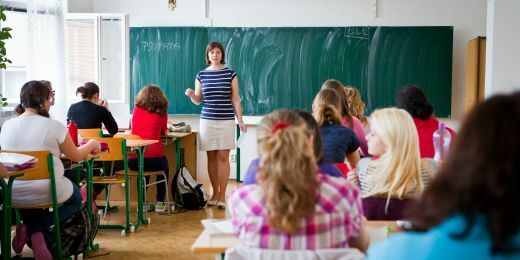 When she saw the locals dancing polka, eating “kolaches”, observing traditions, and maintaining Czech schools and cultural centres, she decided to write her bachelor’s thesis about them, and she went back again to carry out her research. “This summer, I visited again for the third time to tell them what I had found about how they arrived in their new country,” she says. She originally planned to give four talks this summer, but in the end, the number rose to seven. Around 300 people attended the biggest event at Baylor University. As she says, “When we were preparing the talk, the organizers told me that there were 125 seats in the room. I immediately thought that it would be impossible to fill them and that it would be embarrassing, but it was full right from the start and more people kept coming.” Luňáková later found that some of the participants drove for several hours to learn something about their family’s old country. The UK is struggling with a huge lack of carers. This is where people with disabilities could find work.